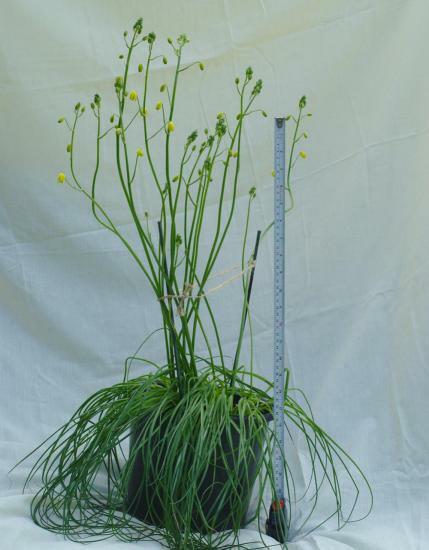 Albuca shawii (syn. 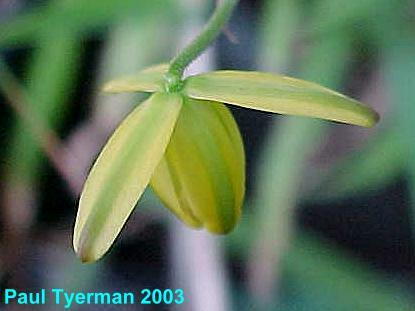 Albuca trichophylla) is native from the Eastern Cape to Limpopo Province, South Africa. 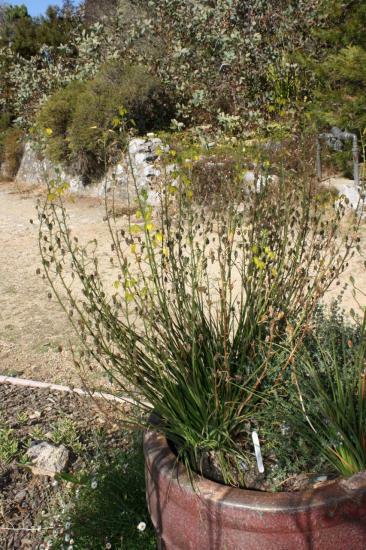 It can be found from 150-2400 m on cliffs and rocky grasslands. 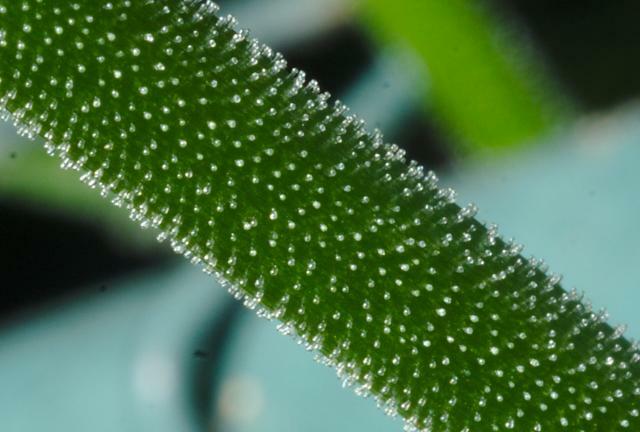 The leaves are narrow and covered with short sticky hairs, reputedly smelling of aniseed when crushed! 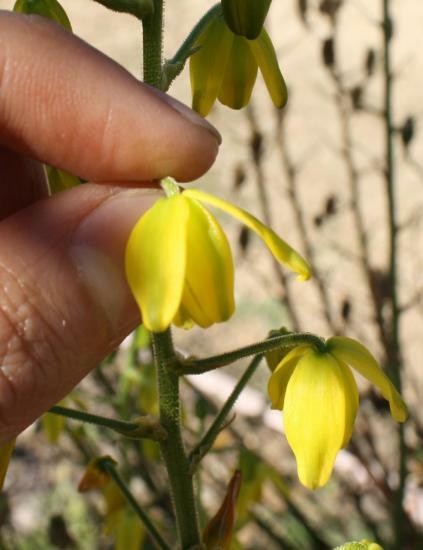 Flowers are few, approximately 15 mm, yellow (with green stripes), nodding and scented. 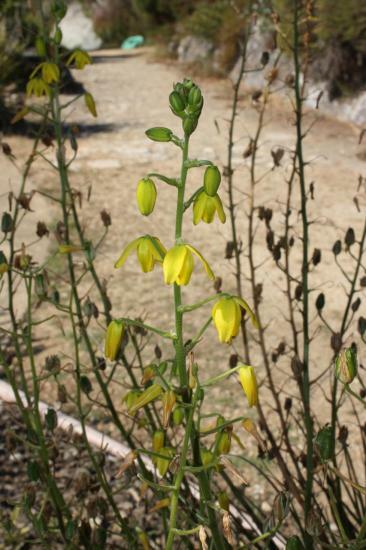 Blooming time is September to February in habitat. 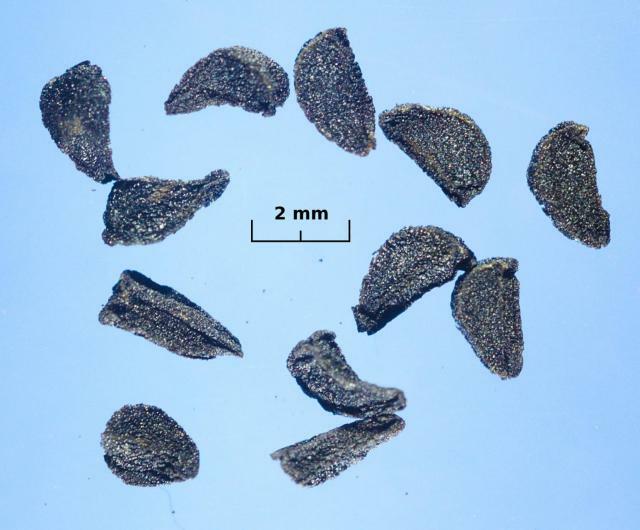 The species is summer growing, and winter dormant. 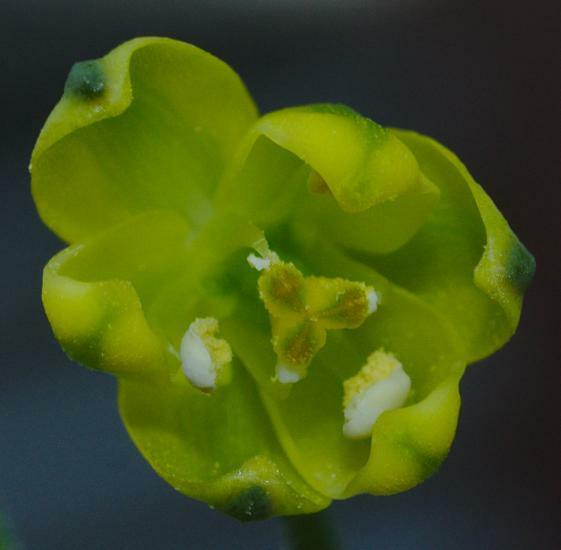 It is one of the more commonly grown species because of the profusion of flowers it produces. This is a worthy species for a nice container garden. 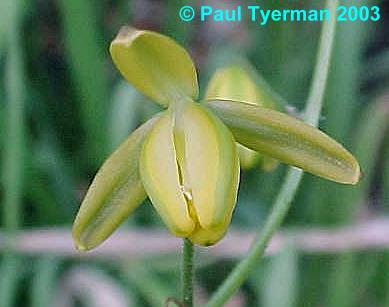 It is named for the Scottish botanist John Shaw (1837-1890). Photos 1-2 were taken by Paul Tyerman, 3-5 were taken by Nhu Nguyen at the UC Santa Cruz Arboretum, and photo 6 of the seeds was taken by David Pilling. 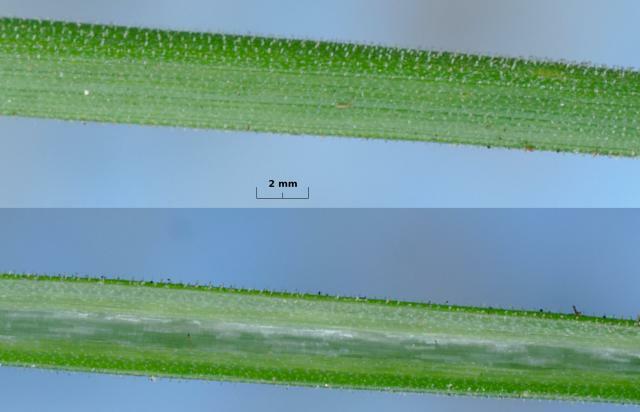 Photographs by David Pilling; the hairs are a distinctive feature and are present on leaves and stems; the stem in photo 1 is 2-3 mm wide, which makes the hairs a fraction of a millimeter long; to the eye they look more like a white fuzz; photo 2 is more representative of their appearance. 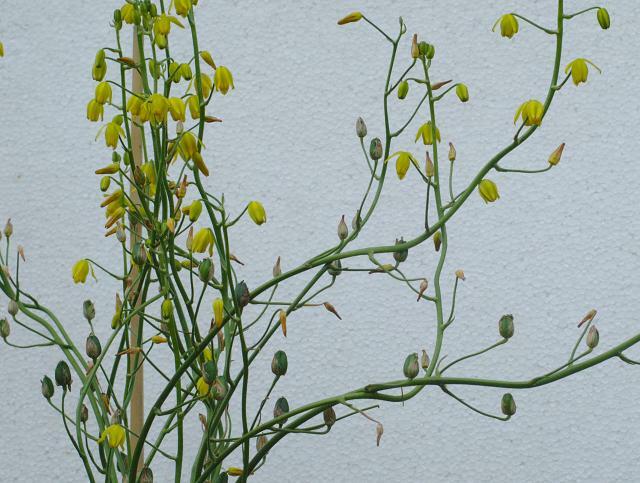 Photo 2 shows all of the buds at a stem top; from the spacing of the flowers in other photos it is apparent that the stem elongates as the flowers open. Gently rubbing the stems between your fingers will release the scent. 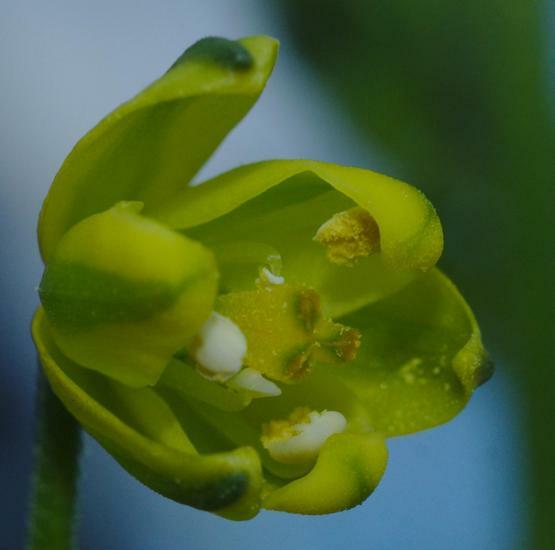 In photos 4-6 the typical situation for this genus of alternate anthers being different can be seen. 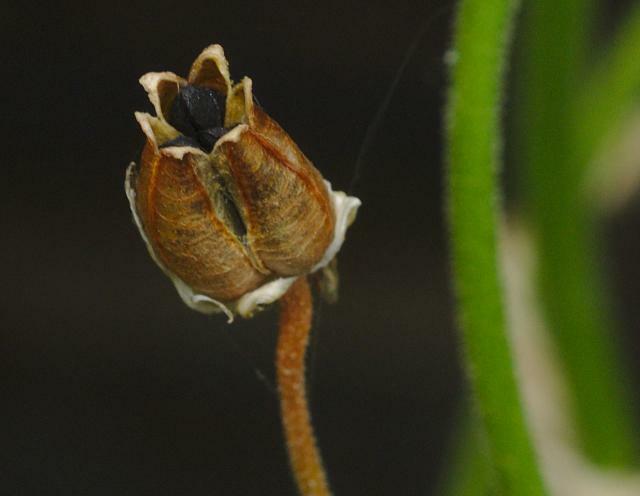 Photo 1 is of a seed pod; photo 2 shows seed pods point up, flowers down. 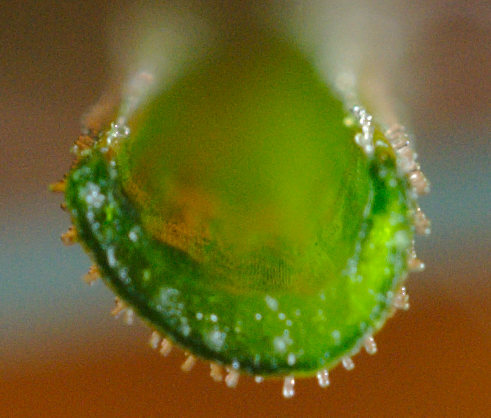 Photo 3 displays the leaf C cross section; cutting one will cause a drop of liquid to form immediately. 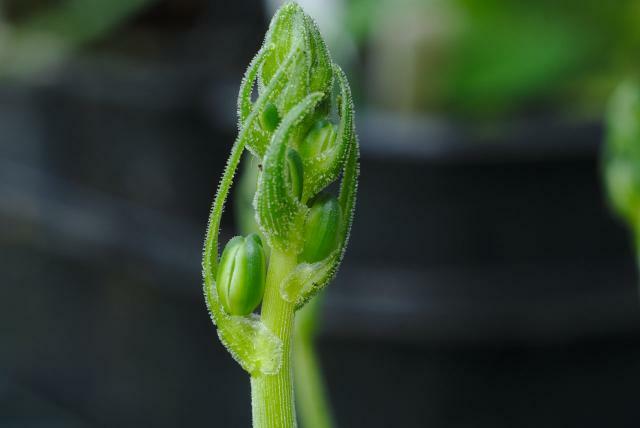 Photo 4 has views of the back and the front of a leaf - the inside of the C with no hairs faces the stem (bottom in the photo). 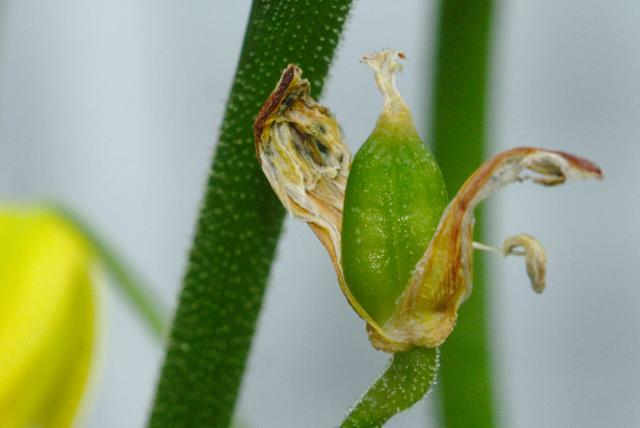 Photo 5 shows the seeds in a ripe seed pod. 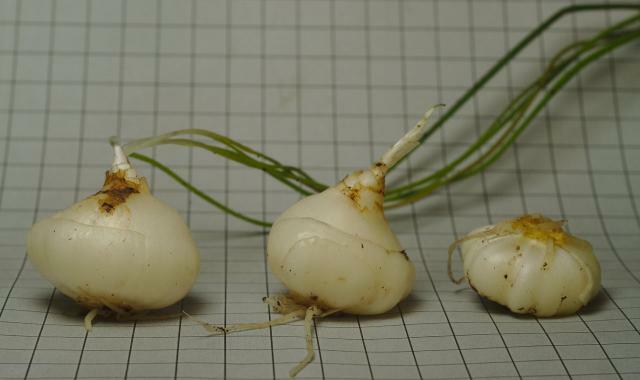 Photo 6 is of bulbs on a 10 mm grid, the bulb on the right is upside down.